How can I run LINE level inputs into it from my PT’s or converters? Because the MA5’s gain is stepped, it makes a very accurate and great-sounding line amplifier to run mixes through. It will add its signature harmonic overtones to the low end. However it is important to optimize the input load and output source impedances. The LINE PAD-Z is designed for mic pre’s without line inputs, such as the MA5, enabling you to plug a line signal into the mic input. The LINE PAD-Z adaptor serves three important purposes: 1) It provides the proper load to your PT or other converters without overloading them. 2) It drops the level -35dB, to the range of a microphone. 3) Its output impedance “looks” like a microphone to the MA5 preamp, so source impedances appear normal. With the use of the LINE PAD-Z on the input of the MA5, unity gain would be at the 35dB position on the gain switch, with the output turned all the way up. IMPORTANT: When coming out of the preamp into the A/D converter, you must go into the LINE input of your digital converter, not the MIC input which would add gain; otherwise you will have headroom issues and a poor signal-to-noise ratio. Some inputs are both, so you must switch to LINE input or use the TRS part of the combo XLR – read the manual to find out. The LINE PAD-Z works very well and can be used with other high quality, low noise preamps. Not recommended for unbalanced interfaces. DO NOT ENGAGE PHANTOM POWER WHEN USING THIS LINE PAD! May be purchased with the MA5 preamplifier, or separately. 75mA per rail, so 150mA total. This is about double compared to the current draw of the E27 since it is a class A amp with a big output transistor. But unlike class AB units, the current draw stays fairly constant, regardless of level or load to the output. API 1608 info: It has come to our attention that the MA5’s initial current surge the first second of powering up causes the 1608 power supply to trigger its regulation and turn off. We will work together and hopefully come up with a solution that does not compromise the sound of the MA5, yet meets API’s console requirements. Please contact us with any questions. It is equally important to work out how the power supply in a rack or lunchbox responds to the inrush of current to the modules in it. All power supplies we tested have current limiting regulation, meaning that the power supply rail will shut off if it senses a lot of sudden current draw, which can be triggered just by turning the rack/lunchbox on when full of modules. So, always check to make sure all the lights are lit and everything is working when you first power up. If a rail does not power up, and the power supply had gone into its current limit mode, then turn it off. You will have to find a trim pot on the inside of the power supply which regulates the current limit and turn it up one o’clock at a time and retest each time until the power supply turns on without triggering the limit. 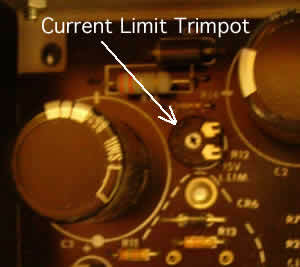 Be absolutely sure it’s the current limit adjustment, and not the voltage adjustment, trim pot you are turning. Get a professional’s help to do this, or contact the manufacturer of the rack or lunchbox. Please contact us if you have any questions and we’ll help you out. What’s the 28kHz pushbutton for? This was an idea borrowed from our E27 equalizer, but this time it’s only a 6dB rise and shelving rise at 28kHz. We realized it was so useful for bringing back life and realism to many instruments, we had to put it in the MA5. It started when we first heard it on live orchestral music recorded by a friend- we could hear the sound stage and its reflections, resulting in a better depth of field. On acoustic guitars, it brought out the upper-end frequency timbre of the instrument. On drums, it sounds particularly nice on the room mic, capturing the natural high-frequency reflections better. Even dynamic microphones can be utilized in certain applications that you wouldn’t have used before. For vocals, it brought the singer closer without turning up the sibilance frequencies. We thought it might be a good idea to put them on vocals, as many of today’s condenser microphones inherently have a bright top end, but not always in the right place for a particular voice. Adding 28kHz would allow you to use a de-esser or equalizer without losing too much of the top end detail, and without using too much additive eq later. This does depends on the characteristics of the microphone, so be careful not to put the 28kHz on everything! There’s much more to the applications of the 28kHz feature… just experiment. After sound evaluations of three different DI circuits using different bass and guitars for this preamp, we found that we liked the Jensen direct box transformer the best – maybe because the sound went through the mic input transformer as well. It was an immediate winner in tests and had the fullness and definition in the low frequencies we liked. Our best advice would be for you to purchase a high quality DI, like the one made by Jensen Transformers called the ISOMAX DB-2PX. It’s actually a great value because it is a 2-CHANNEL unit, and you could also use it in the way the Line Padz works, running a Line level signal throught it as well (-22dbu of level loss so it’s going to be a bit louder than the LPZ) You could have it mounted inside your rack and wire it up to your patchbay. We sell it for $200 each directly. Call with any questions. What’s the -6dB for on the output pot? It’s a fine trim adjustment to get in between the 5 dB steps of the gain switch. It also mutes when turned down all the way, so you can exchange mics and prevent the speaker thump from phantom power. A meter would be nice for seeing if there is signal present, but considering how high the headroom is on this preamp (+31dBu into 10kohms, +27dBu into 600 ohms) the meter you should be looking at is the one for your recorder, like an A/D converter, which will clip at a lower level. I’ve seen these with a Red gain knob. Can I get it that way? Yes, just let your dealer know you want a red knob. I see your MA5 being produced with a red or a black faceplate. What’s that all about? Just cosmetical reasons? Or is there any difference between the two? There are no differences between faceplate or knob colors and it is purely cosmetic. The first group of MA5’s had red faceplates due to a few dealer’s suggestions. I had always preffered a blackface (with the red highlights on the logo and name) so had them made but never showed it until a client asked if black was available, and it was. It has been the default color now. There was also another color made for another dealer, a greyish color with green tint, which was a color matched from some old test equipment we had, but there are not many of these. When installing them in my API rack, they’re a little tight due to the two screws at the top and bottom. What to do? Place the lower part of the MA5 in first with the screws just inside, then just pull on the top slightly to get the top screws in. The lip on the API lunchbox or rack is bent a little too far in on some units, and using countersunk flathead screws on the MA5 means using weaker screws that can strip easily, instead of the stainless steel that used now. The original dimensions of the MA5 is correct. Can I purchase output transformers from you for a DIY? Sorry, no. The output transformer is custom-made for us through a research and design collaboration between Avedis Audio and Jensen Transformers, in a proprietary agreement. Furthermore, we remain even more vigilant with regards to the potential of the cheap copiers. Seconds after powering down, it is normal to still hear a loud signal? Yes, it’s the capacitors discharging but keeping the power up for a little while. This is normal for this particular type of Class A amp. It is recommended to mute your monitors or disconnect the preamps from your speakers or headphones when you power down. Why do I hear a buzz/hum with the MA5 preamp but not with other pre’s I also have in the same rack? The rack itself may have a grounding issue, either as a Pin 1 problem, a common (zero) not connected to chassis, safety ground not connected (unsafe and illegal), or some combination including all three. The noise is really on all the preamps, but it will be more noticeable with the MA5 because the Class A amplifiers run with more gain than most other 500 series preamps, which have less gain from the op-amp but more step-up gain from the input transformer. Any noise that gets into the audio ground will be heard proportional to the gain, (for example, via building ground/conduit to pin 1). Contact us if you’re having a problem with the rack; we will need to run tests and document any problems before having it fixed. UPDATE: Please DO NOT use the MA5 or the E27 with an OSA rack. The problems with regulator inconsistencies causing high ripple noise, miswiring of the rack, and even safety is a risk to our modules. 2/19/10 – Please be careful not to pull on the output pot to remove the MA5 from the rack. This will damage the output pot and create a dead spot.